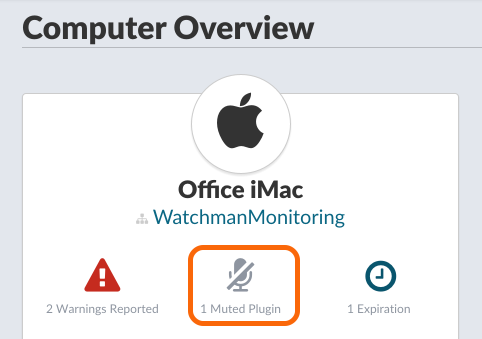 Reduce repeated warnings with Watchman Monitoring's muting system. Monitored computers report their status hourly. 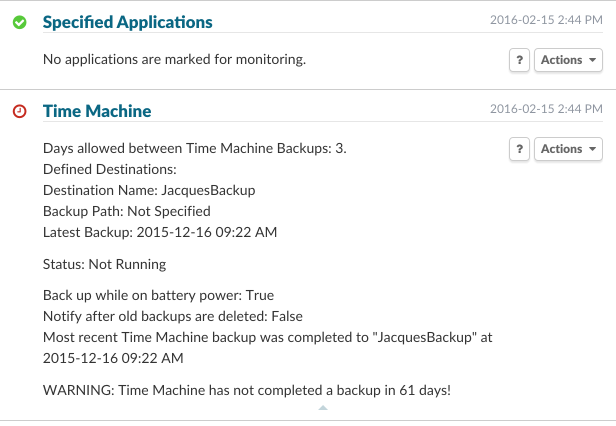 When a report is received with a new warning, Watchman Monitoring's servers automatically generate a warning. Warnings for existing issues are limited to once per 24 hours by the server. 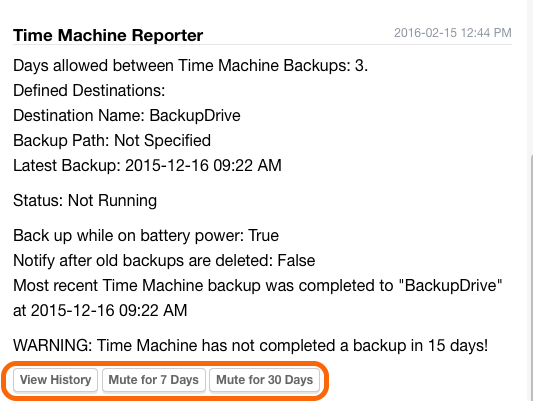 Muting a specific issue instructs the server to skip the daily warning for a specific issue. The server will continue to record status reports while an issue is muted. Current information will always be available on the computer's client record in the server interface. Muting known issues allows support staff to focus on each warning as a new, important issue to address. For quick access to muting preferences on the server interface, an edit-client link is included in all emailed warnings. 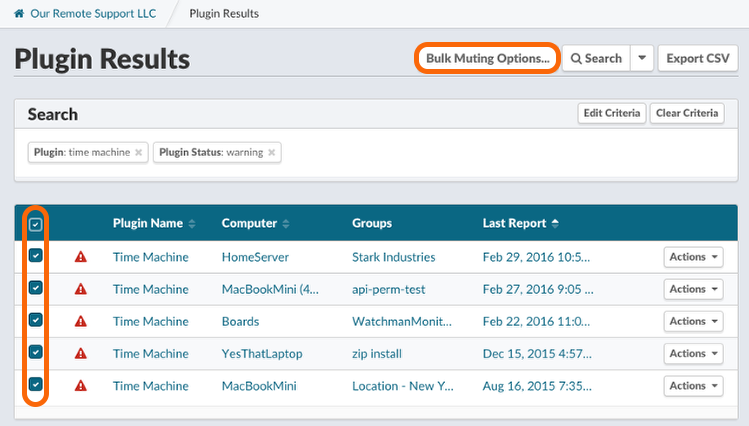 By searching on the plugin results page, you can easily mute multiple plugins and computers at the same time. The Computer Overview lists the total number of muted plugins for that computer. 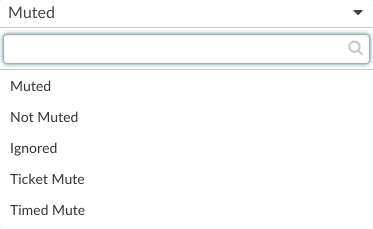 Clicking on the Muted Plugin Overview will bring you to the muted plugin's results. 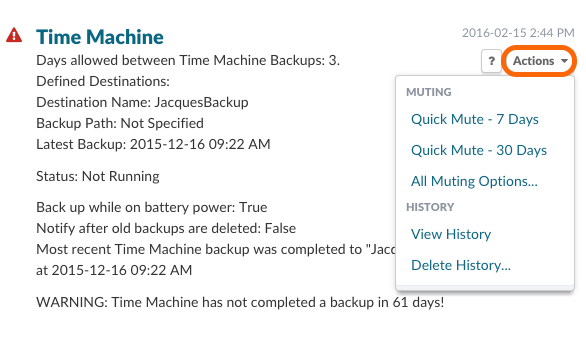 When viewing a plugin that is muted, you will notice a clock symbol so you can quickly see that a plugin is muted. 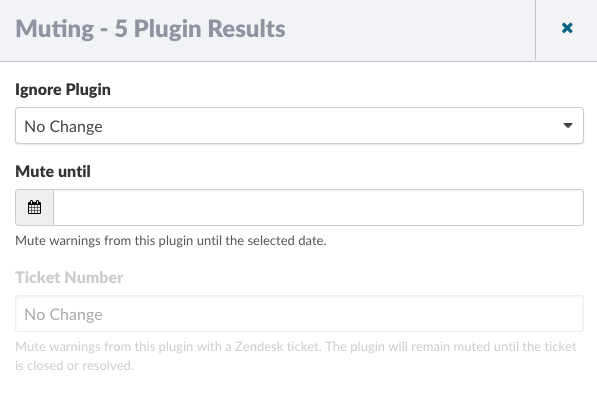 When viewing a muted plugin, the plugin will show that it is muted and the date until it will be muted.